The two-skyscraper hotel offers 108 rooms, 18 suites and 169 residences. 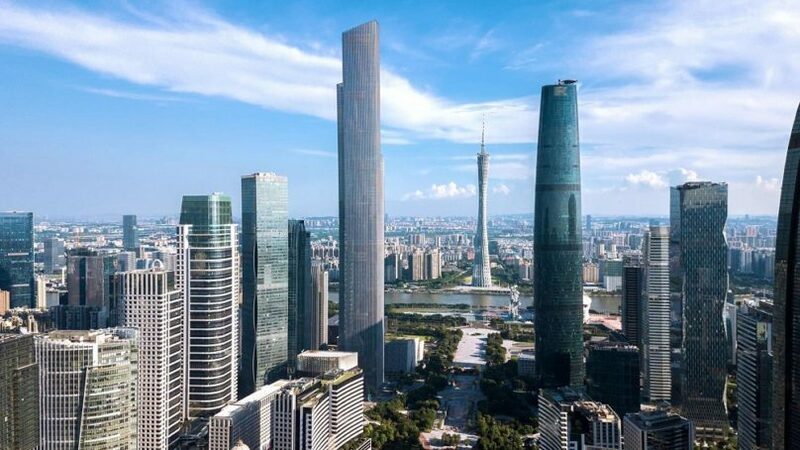 The skyscrapers stand among the cosmopolitan skyline, giving discerning guests and residents of Guangzhou a quick and convenient escape from the inner city to what feels like a whole new world of abundance and luxury. The hotel houses club-like leisure offerings, including a spa and gym, indoor and outdoor swimming pools, an executive club, as well as an outdoor patio space for private events. Also found on the property is Winter Mall, the go-to destination to find some of the world’s most illustrious luxury brands, offering guests unrivalled retail therapy and relaxation, as well as a much-coveted VIP personal shopper experience. The hotel brings a plethora of F&B options including healthy dining options in all outlets for guests and residents to enjoy. Organic and sustainable products from Chinese farmers are used to create balanced dishes.